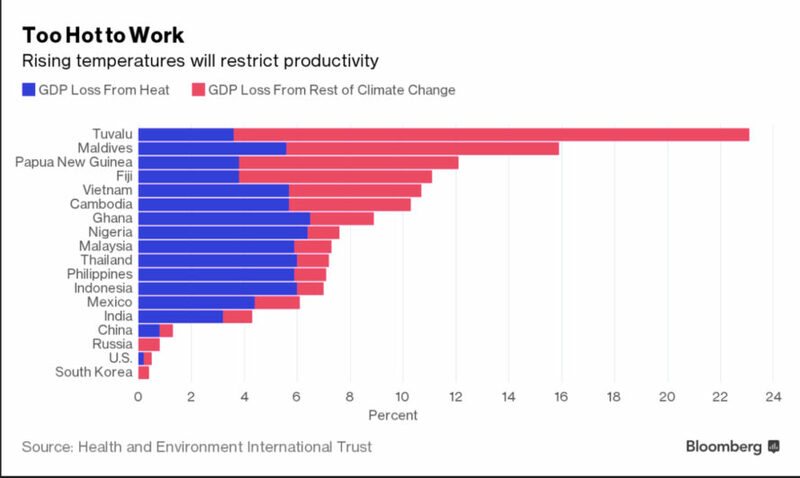 Research reveals yet another loss we can anticipate at the hands of climate change: global productivity. Heat stress in lower income countries has already shortened work days, which could result in a net loss of $2 trillion across all global economies by the year 2030. The sad irony is that the countries contributing the least to global warming will end up hurting the most. First world countries, who contribute far more to our dire climate situation, can afford to adapt to the productivity challenges. For instance, factories can invest in alternative means of cooling their machinery and bigger companies can afford to shift around workers’ schedules. 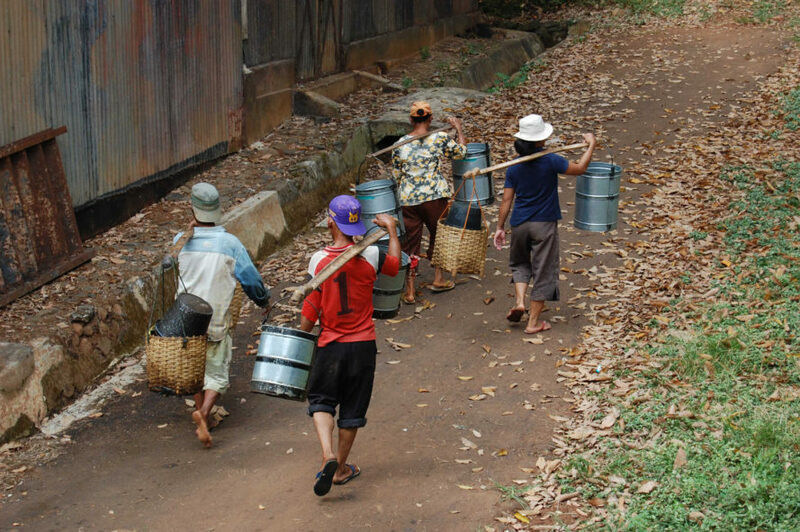 Lower income countries will be the first to experience the growing economic burden, due to low-skill, low-paying, and labor intensive jobs being affected more severely by heat stress. Heat stress due to climate change could seriously affect the future of global economies. The effects of heat stress on various economies. Workers in Indonesia, for example, are struggling with hotter work days, which affects productivity.